The journalists at PBS and CNN are very forgiving when it comes to accusations of bigotry and hate. Well, as long as you’re a Democrat. 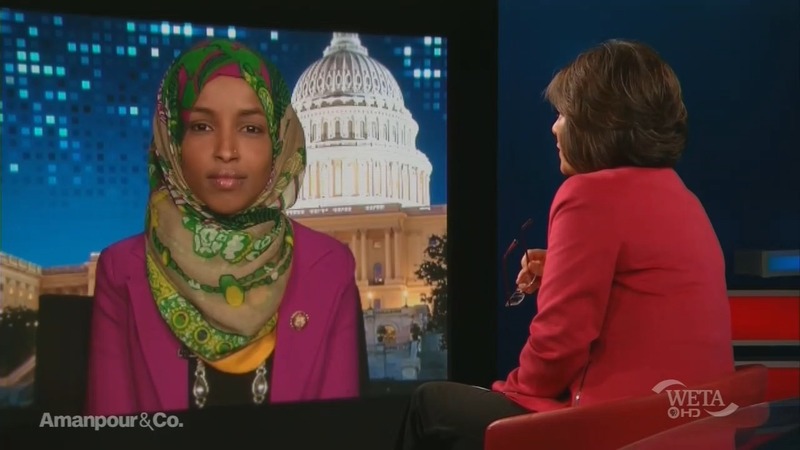 A tweet of now-Congresswoman Ilhan Omar has resurfaced in which she calls Israel “evil” and says the nation has “hypnotized the world.” Yet, PBS journalist Christiane Amanpour asked the Democrat to simply “put that in context.” CNN wondered “what your message” is to explain away the statements. This is not the kind of media coverage Congressman Steve King received for his disturbing remarks. Omar compared Israel, a functioning democracy in the Middle East, to Saudi Arabia: “I say the same things, if not worse, when it comes to the Saudi government.” Amanpour did not follow up or question this comparison.